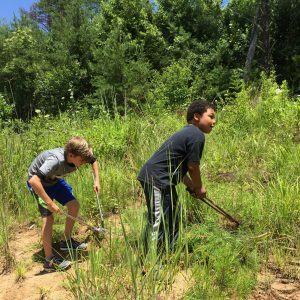 On Thursday, July 13, we welcomed a group of XploreUSA students to our Community Farm for a workday in the Shortleaf Pine reforestation area. The teen volunteers consisted of international exchange students along with some of their American host siblings. XploreUSA is a day camp which offers several language classes, fun activities, and meaningful weekly volunteer projects. The volunteer projects for this day included thinning of non-native invasive plant species and seeding Kentucky 31 Fescue grass and perennial flowers. Thanks to our visitors from Evergreen Community Charter School for coming out to tour the Discovery Trail at our Community Farm. 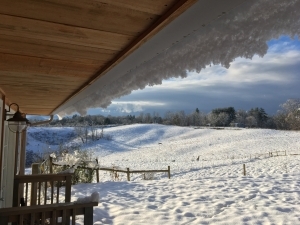 Productive farming and a healthy, sustainable environment go hand-in-hand — and our Community Farm provides a trendsetting model to learn best management agricultural practices. 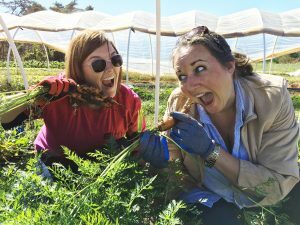 We offer guided, educational farm tours throughout the year for groups of all ages. 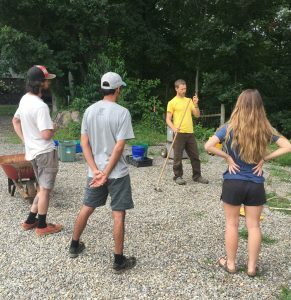 To find out more about the workshops and tours we offer through our farm and new Education Center, contact Chris@appalachian.org. 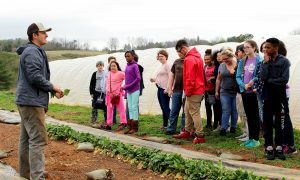 SAHC’s Community Farm work is funded in part by a grant from The Community Foundation of Western North Carolina. 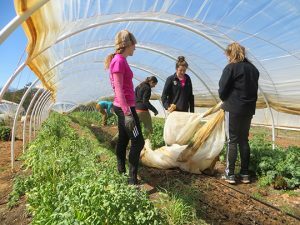 This material is based upon work that is supported by the National Institute of Food and Agriculture, U.S. Department of Agriculture, under award number 2016-70017-25341 for Farm Pathways: Integrating Farmer Training with Land Access. Any opinions, findings, conclusions, or recommendations expressed in this publication are those of the author(s) and do not necessarily reflect the view of the U.S. Department of Agriculture. “Black Soldier Fly” — the name resonates with fear and dread, and perhaps even conjures an image of winged, facet-eyed soldiers wielding guns. 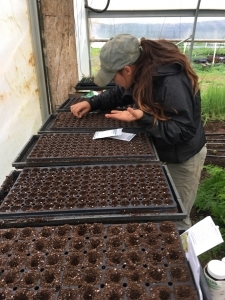 In reality, black soldier flies (Hermetia illucens) are useful native critters that chew through organic remnants, helping turn organic material into compost while producing tasty treats for chickens.